Home / Outreach / Youth Harmony EventsBecome A Member! We provide the easy and infectious barbershop sheet music. We provide the venue. We provide the clinicians to teach the music to male, female, and combined choruses. You provide the singers. Your singers will provide the enthusiasm. Just wait until you see our master clinicians at work. 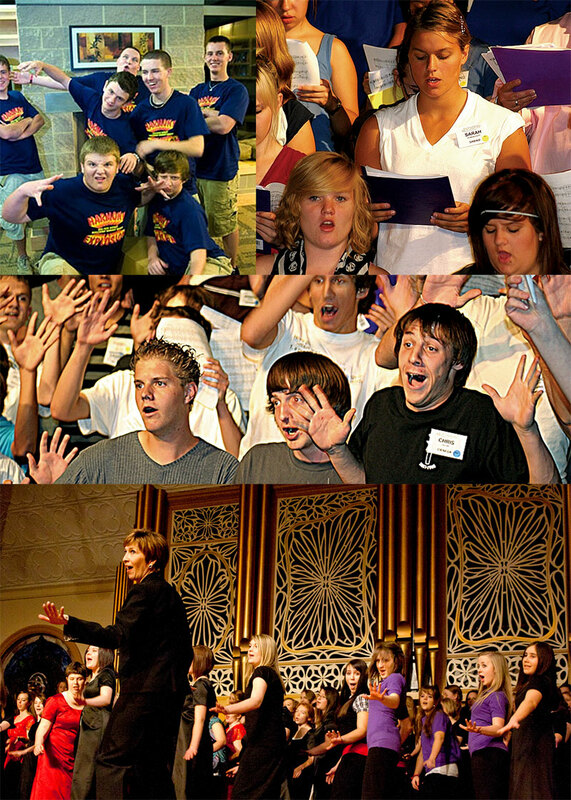 Your singers will join with hundreds of other student singers for a one-day event unlike any other. An action-packed day ends with spectacular combined performances that will give you goosebumps.